If you are not shredding every last piece of paper with data on it today, you are in need of records storage and management. Records storage and management services are standard practice among the world's largest organizations, who are faced with the challenge of housing, cataloging, retrieving and ultimately destroying their information. Now YOU can enjoy this same level of service and do it CHEAPER than self storage and FASTER than finding files in the room down the hall. Knowing where your information is stored, how to quickly access it, and not investing too much time or money working with these documents is a puzzle that records storage and management services solved long ago. You will be amazed how easy it can be to use TRexShred's sister company, Corporate Records Management (CRM), and how little it costs compared to the other methods that business owners and managers typically turn to: self storage and in-house file rooms. Take a look. Unless you are stuck in a long-term lease or downsizing your business, there is simply no such thing as extra office space. The room, closet, hallways, break room or basement that your boxes are cluttering right now could be put to better use. At the very least, having less clutter will make you more productive. In the best-case scenario, you can use that space to work more efficiently and effectively, bring in new people, sublet it, or offer it to clients to use. The office has surrendered—it's full and there is nowhere else to put boxes, period. 99% of small business owners immediately think of two places: their home or the most common "home storage alternative," self storage units. If you have room in your home that you want to fill with boxes of paper, you go right ahead. Just know that you are exponentially increasing the risk of data breach and loss by fire, flood or natural disaster. If you plan on using self storage, make sure you bring two things: your wallet and a back brace. 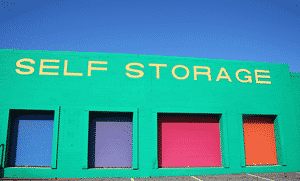 On a per-box level, self storage can run almost five times as much as using CRM and you have to do all the work getting it there and shuffling it all around just to find one box. Call Us Today at 214-333-3453 To Find Out Why Small Business Owners Are Our HAPPIEST CLIENTS!